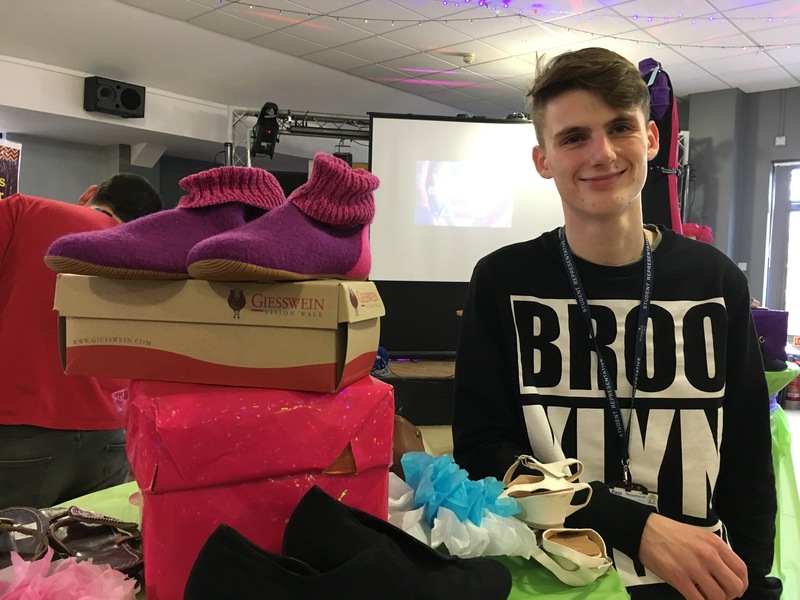 Hundreds of students and staff took the opportunity to replenish their wardrobes at an enterprising ‘Handbags and Glad Rags’ second hand clothes sale run by our Foundation and Entry Level students. Around 25 students were involved in ironing, labelling and displaying the clothes and preparing posters for marketing the event. They also gained useful customer service and organisational skills dealing with customers on the day to add to their CVs. 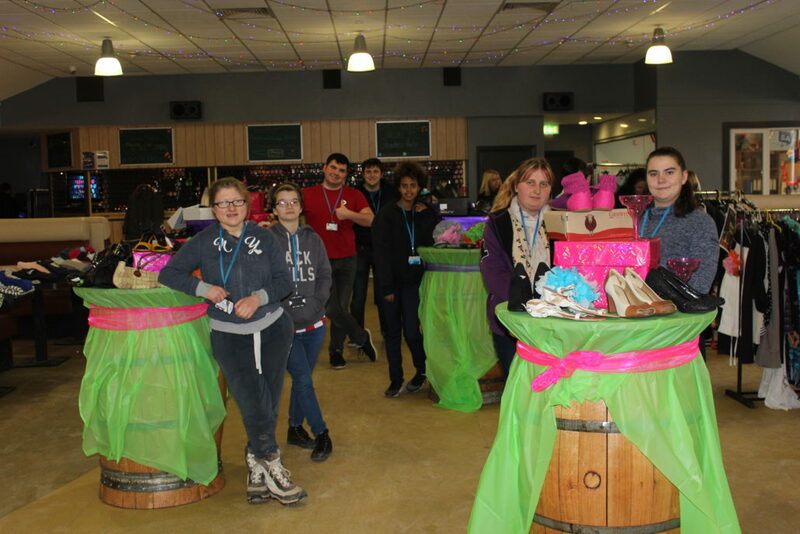 The event, which was held in the student bar, raised in excess of £300 which will help fund the creation of a wellbeing garden behind Foundation Department’s ‘Chaffinch’ building. Foundation student Kamron Forman, who hopes in future to join the Royal Navy as a chef, had a busy day helping to look after the clothes stalls and serving on the till. Our Foundation department run at least one fund raising event each term for various causes. Their last was a ‘Santa Dash’, again aimed at raising money for materials for the garden.